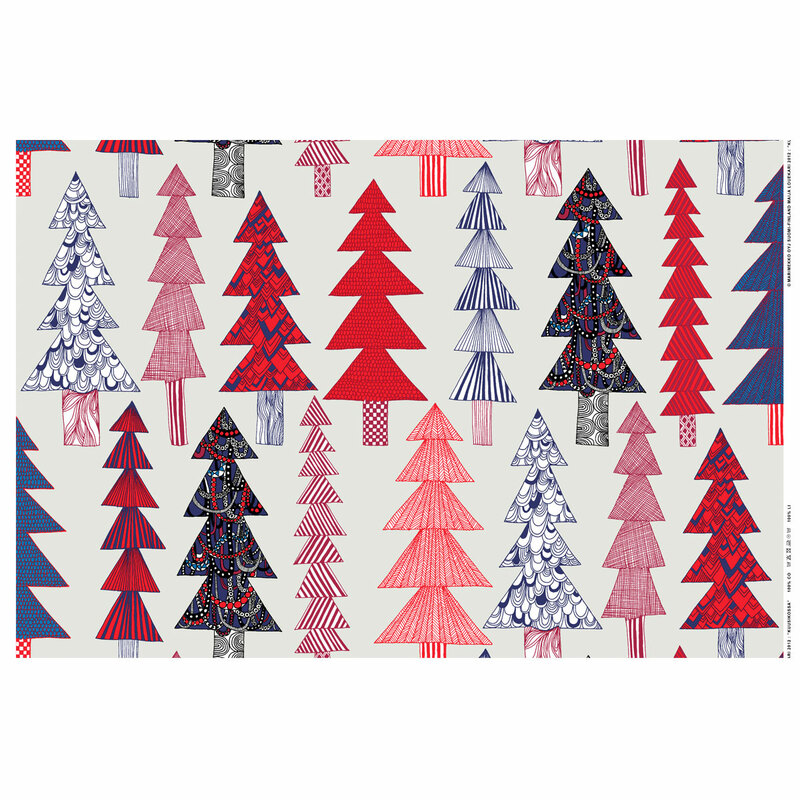 More about Marimekko Kuusikossa Grey / Red / Blue Panama Fabric A variety of evergreen trees with mismatched patterns lends a cozy, quilt-like vibe to the Marimekko Kuusikossa (“in the spruce trees”) Grey / Red / Blue Fabric. 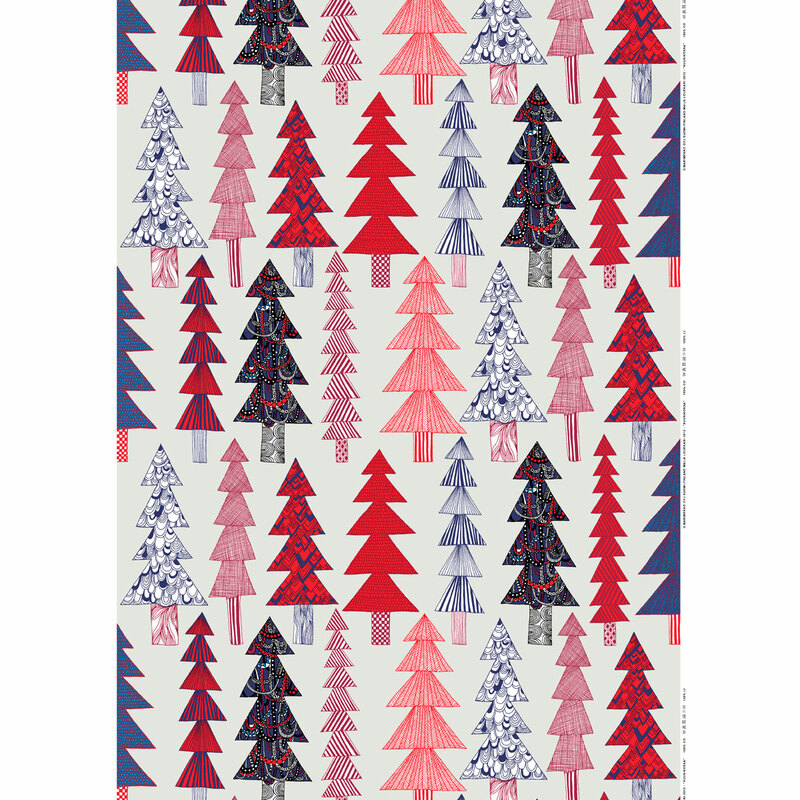 Designed by Maija Louekari, this pattern was inspired by the thrill of sorting through the sparse, plump, tall and short Christmas trees to find one that is just right. This festive fabric is the perfect way to "spruce" up your interior décor or wardrobe to fit the feel of the season. Made from 100% cotton in a fine panama weave, this fabric is still printed at Marimekko's printing works in Finland, where there are forests filled with these luscious, leafy trees. 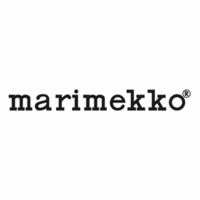 Festive and whimsical, the Marimekko Kuusikossa White/Black Fabric makes an impact with its playful diversity in shape and texture. 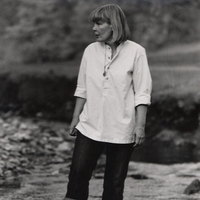 The fabric feels slightly thicker than standard Marimekko cotton fabrics with a more canvas-like feel that that mimics the construction and durable texture of the Panama hat. Sturdy vibrant print perfect to liven up the living room couch...or a table runner....or curtains! Fast Service arrived in no time! This fabric is a lovely print.This fabric was bring the happiness of Christmas to our home! ProsThe lovely design and the beautiful color!